Eating wheat and coarse cereals (such as millets) instead of rice, pulses instead of meat, and dark leafy vegetables and coconut could alleviate micronutrient deficiencies cost effectively. The Indian government is actively promoting millets. It has declared 2018 as ‘National Year of Millets’ and is working to bring in millets into the public distribution system (PDS). It has also notified some of the coarse cereals as ‘nutri-cereals’. A diet that moves away from white, polished rice to include coarse grains and wheat could help Indians tackle micronutrient deficiencies affordably and cut down greenhouse gas (GHG) emissions associated with agriculture by up to 25 percent, says a new study. Researchers led by Narasimha D. Rao, scientist at the International Institute for Applied Systems Analysis examined the National Sample Survey (2011–12) for consumption expenditure. They found that more than two-thirds of the Indian population (around 500 million people) are affected by deficiencies in protein, micronutrients such as iron and zinc, and vitamin A. Data presented in the study shows that nearly 90 percent of the diets are iron deficient, nearly 85 percent are Vitamin A deficient and more than 50 percent are protein-deficient. Micronutrient deficiencies in India are more prevalent than calorie and protein deficiencies. In regional trends, the analysis revealed that India’s south and east (where rice is the staple food) eat less nutritious food than the wheat-eating north and western part of the country. Micronutrient deficiencies are worse in urban than in rural areas, and more so, in lower-income households. Rural counterparts fared better due to greater diversity in their cereal consumption. The authors recommend a selection of wheat, maize, and millet products instead of rice; and chicken and legumes over beef and eggs to boost protein intake. “These diet changes would also reduce greenhouse gas emissions, predominantly due to rice production’s high methane emissions. We are not telling people what they should eat or should not eat. We are highlighting the creation of incentives for them. Moderation is the key,” Rao told Mongabay-India. In general, most emissions-intensive foods are those that produce methane, which are from ruminant animals (beef and lamb) and rice production. Methane is roughly 30 times more potent as a heat-trapping gas than carbon dioxide. Emissions from beef production in India are over a factor of three of that in Western Europe and over double that of in the United States, because of low feed digestibility, poorer animal husbandry and lower carcass weights, among other factors. A recent study had shown that Indian livestock emitted 15.3 million tonnes of methane in 2012. Methane emissions from rice production in India, on the other hand, vary widely due to different cropping patterns and flooding periods, but on average tend to be on the lower side compared with those of other rice-growing regions in the world. The study comes at a time when the Indian government is actively promoting millets. It has declared 2018 as ‘National Year of Millets’ and is working to bring in millets in the targeted public distribution system (PDS). Further, the Indian government has also notified millets as ‘nutri-cereals’ for production, consumption and trade. 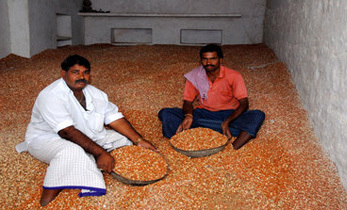 The National Food Security Act, 2013, relies on the PDS to enable two-thirds of India’s population to access five kg of grains at subsidised prices. 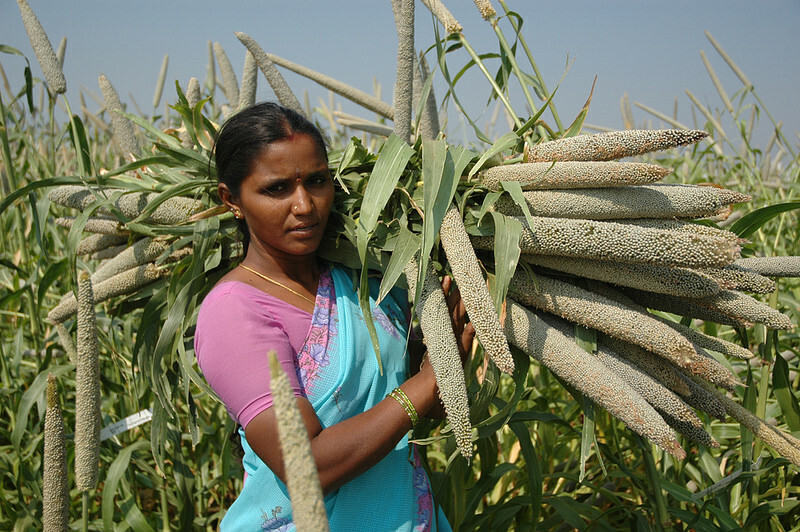 India’s millet basket includes sorghum, finger millet, pearl millet as well as ‘minor millets’ such as little millet, kodo millet, barnyard millet, foxtail millet and proso millet. These grains are cultivated in resource poor agro-climatic regions such as rain-fed and less-fertile lands, and mountainous tracts. Many of these areas also have strong tribal population. These areas include states of Andhra Pradesh, Chhattisgarh, Gujarat, Haryana, Madhya Pradesh, Rajasthan, Maharashtra, Karnataka, Uttar Pradesh, Tamil Nadu and Telangana. “The fact that the government is working on the inclusion of millets in the PDS validates what we are trying to say in the study,” Rao said. 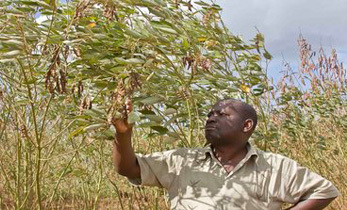 Study co-author Ruth DeFries, professor of ecology and sustainable development at Columbia University in New York, feels the inclusion of millets in the public distribution system could incentivise farmers to increase production of coarse cereals and could increase consumption by those who depend on the PDS. DeFries believes both would be positive steps. 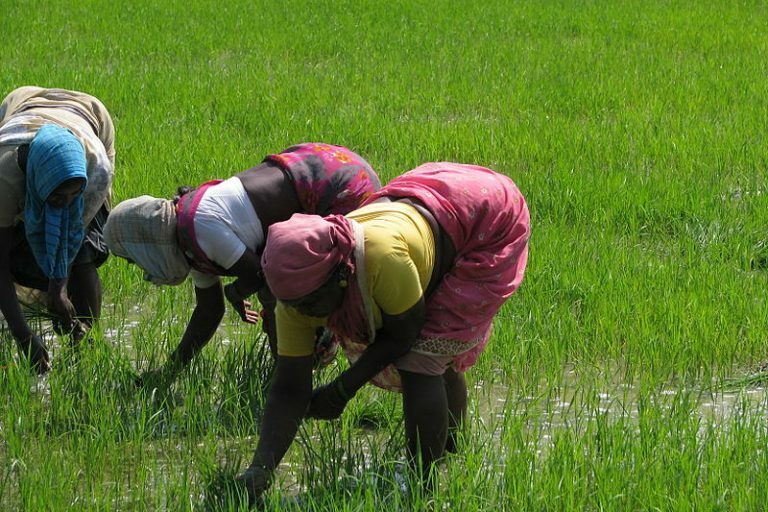 “Research and extension is needed to increase yields of coarse cereals since they did not receive the same attention as rice and wheat during the Green Revolution,” DeFries told Mongabay India. India relies primarily on domestic production for cereals that people consume in the country, so the link between land use changes have a major influence on diets, said DeFries. In the mid-1960s before the Green Revolution, millets were cultivated in 36.90 million hectares. With the Green Revolution, the government focused on high-yield varieties of wheat and rice, leading to a reduction of 40 percent in the land area on which coarse cereals were grown. In 2016-17, the area under millet cultivation shrank to 14.72 million hectares, according to India’s Agriculture and Farmers’ Welfare Minister Radha Mohan Singh. “With decline in the consumption of nutrient-rich coarse cereals, the availability of nutrients declined in people’s diets. 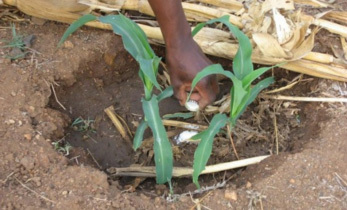 Moreover, coarse cereals are relatively drought tolerant and can grow on poor soils,” said DeFries. Thus, coarse cereals are more nutritious and have higher resilience to climate change. In other policy lessons suggested by the study, the authors highlight that food policy through the PDS “appears to exacerbate nutrient deficiencies” in two ways: by encouraging rice and wheat consumption over coarse cereals, and by enabling only a portion of households’ rice and wheat consumption to be covered by the PDS. “This gives poorer households less flexibility to diversify their diets. Extending the reach and scope of the PDS to increase the affordability and availability of coarse cereals and dark green vegetables, among other foods, would be important shifts,” the study stressed. Rao considers diet change as a better option than bio-fortification of rice. 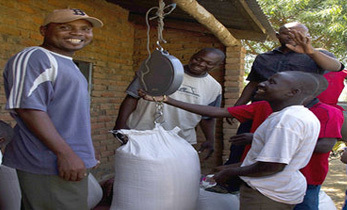 “Just imagine if you were to have iron-fortified rice, you would essentially continue to increase white rice consumption which would continue the same environmental impacts. So if you want to address both problems together, diet is the solution,” Rao said. One major challenge, authors reckon, in implementing these shifts, could be getting consumers to accept a diversified diet. DeFries pointed out the quinoa story that shows that people can and do change habits. And in India coarse cereals are now trendy for the urban upper class and are good substitutes for white rice for diabetics, she said. 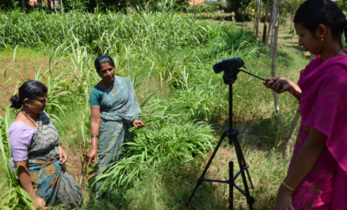 According to plant breeding expert S. K. Gupta, principal scientist at the International Crops Research Institute for the Semi-Arid Tropics (ICRISAT), who was not associated with the study, millets have “an edge” over rice and wheat in terms of climate resilience. The coarse cereals also have less of cultivation-related problems when compared with rice. They only need appropriate levels of rainfall that is well distributed over time. 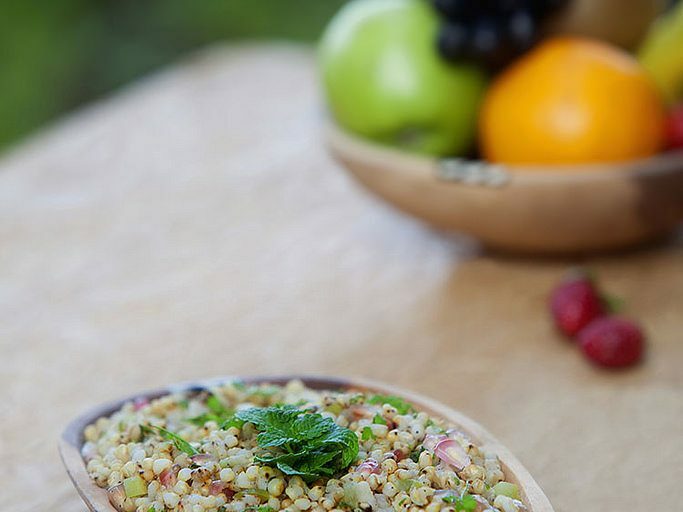 “Millets have four to five times more micronutrients than rice and wheat. They are also more drought-, salinity- and heat-tolerant. 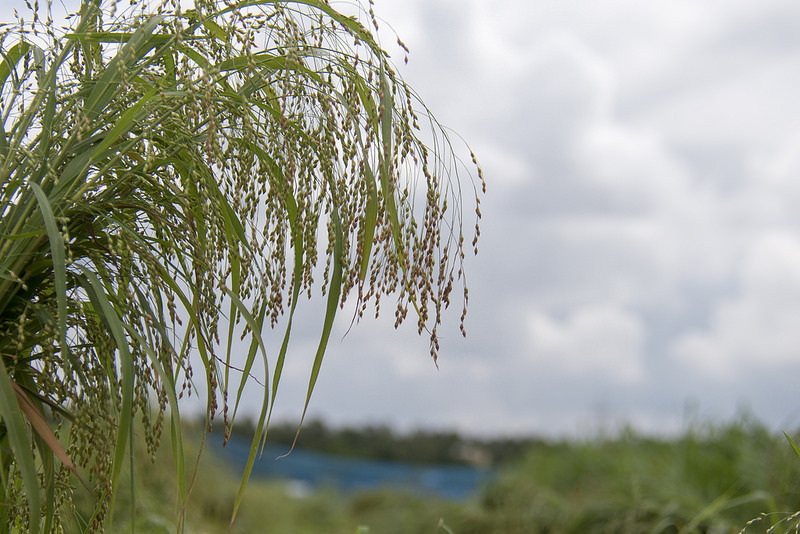 Rice and wheat are grown in irrigated ecology whereas millets are grown in marginal ecologies. 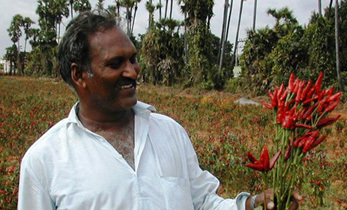 Millets can be grown in ecologies that have annual rainfall of 200 to 600 mm,” Gupta explained. Many of these coarse grain crops also have reduced needs for pesticides and fertilisers and protect against soil erosion. “Our studies show that cultivation of foxtail millet (Setaria italica) and common millet (Panicum miliaceum) in Jammu and Kashmir were abandoned about five to six decades ago due to various factors including preference for high yielding wheat varieties and untimely rains. 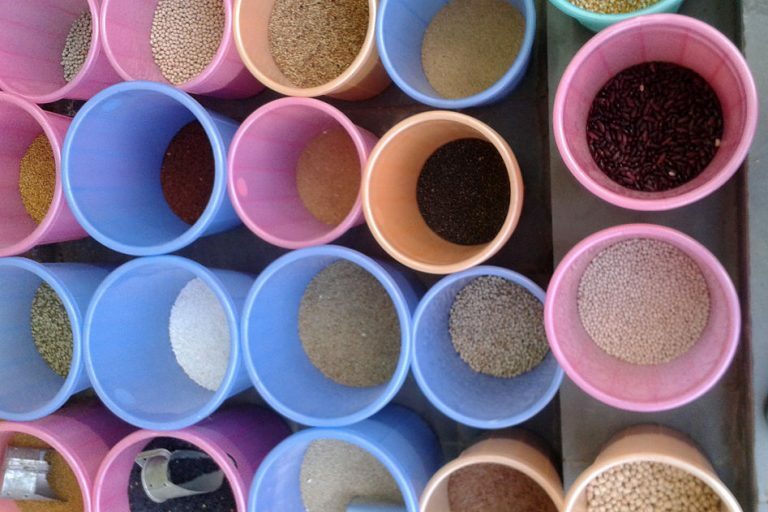 Revival of these forgotten crops would benefit both health and climate,” Sheikh told Mongabay India. Citation: Rao, N. D., Min, J., DeFries, R., Ghosh-Jerath, S., Valin, H., & Fanzo, J. (2018). Healthy, affordable and climate-friendly diets in India. Global Environmental Change, 49, 154-165.